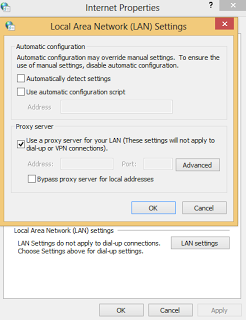 Due to requests that i've been receiving lately on how to use Airtel free browsing cheat on PC without tethering hotspots, i am here with the settings for you to use. Many people still don't know that Airtel free browsing cheat can be used on a PC via Hotspot tethering and via direct modem/mifi. Today, i will be dropping the settings right here for PC users. Kindly follow me step after steps as we set it. 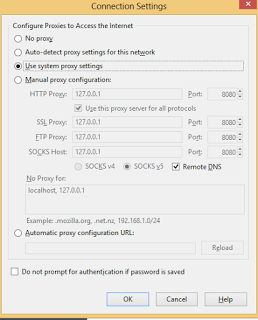 Now type “Proxy” and you should see “Change proxy settings” option and click on it, Alternatively, you can simply scroll down while on settings tab and Click on "Advance"
That's all. You are now set to browse unlimitedly with your PC with Airtel free browsing cheat. Thanks for helping disclosing this info. Data are becoming more expensive and this definitely is my last resort. How do I make my data 0.00. I have 0.8 and it can't seem to connect. And I can't make calls to finish it. Re;How do I make my data 0.00. I have 0.8 and it can't seem to connect. And I can't make calls to finish it. Sorry. one more thing, can it work with IDM? Nice article from a good blog. Tried it already and it worked. window phone or is there any way to install android app into window phone or to convert window to android. Neither of them is possible. Nice one, it's working but slow and i Can't change the psiphon server region because the is only one region which is tag "Fastest Region"
It's not really slow here. Maybe your 3G ain't strong over there. indeed it is. Thanks again and more grace. Was able to use this yesterday but I'm suddenly having trouble connecting. Hope it hasn't been blocked.